Shondai Dunbar-Williams won bronze in Nurse Assisting when she represented Savannah Tech and the State of Georgia in the Skills USA National Leadership and Skills Competition, in Kansas City, Mo., in June 2013. Savannah Technical College student Shondai Dunbar-Williams won the bronze award at the SkillsUSA National Leadership and Skills Conference for Nurse Assisting. The win came after competing at the state level, where she won gold. At the national level she competed with six other students in front of a panel of judges. SkillsUSA is an annual competition where industry leaders representing more than 1,100 businesses, corporations, trade associations and unions recognized students for their demonstrated excellence in 98 hands-on occupational and leadership contests. SkillsUSA is a career and technical student organization that annually serves more than 320,000 high school, college and postsecondary students-and their instructors-in technical, skilled and service-occupation instructional programs. The competition is held annually for students who have honed their skills to compete on a national level which allows students to see the success and how far their education is taking them. 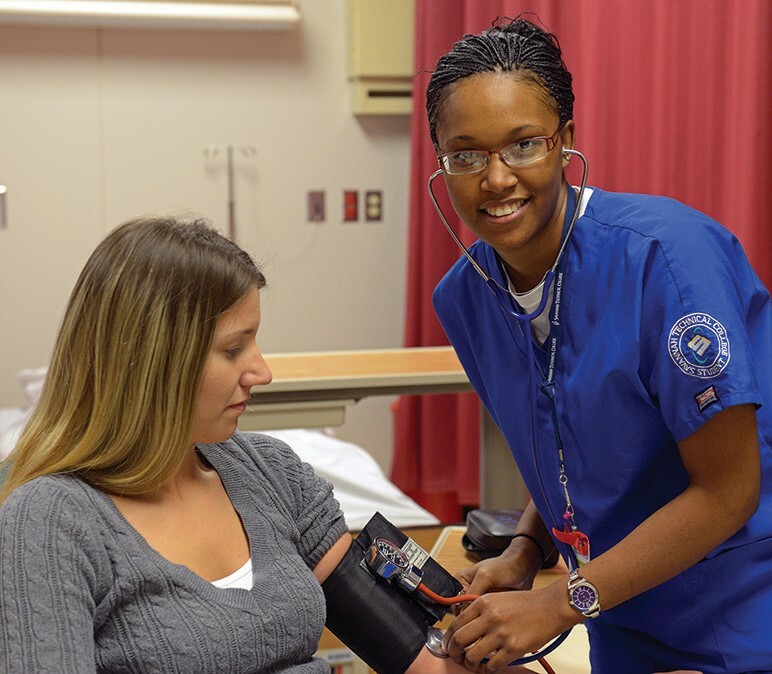 Dunbar- Williams was accepted into the Licensed Practical Nursing (LPN) program at the Liberty campus in January 2013 and will complete the program in December. For more information on the LPN and other Health Science programs visit: Savannahtech.edu/Health_ Sciences.